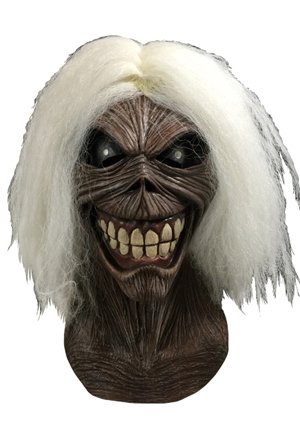 Trick Or Treat Studios and Global Merchandising Services present the officially licensed IRON MAIDEN 'Eddie' masks, available for order now. Get yours in time for Halloween. Check out the details below. 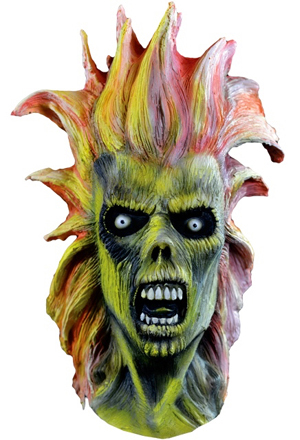 Sculpted by Rick Fisher, this mask is based on the album cover of IRON MAIDEN's first studio release, Iron Maiden. Every detail of Eddie is captured in this amazing latex mask. Sculpted by Erich Lubatti, this mask is based on the album cover of IRON MAIDEN's second studio release, Killers. 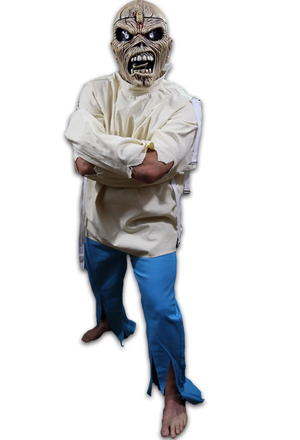 The officially licensed IRON MAIDEN Eddie - Piece Of Mind costume comes with a real canvas straight jacket with working buckles and canvas blue shredded paints. Now you can look exactly like Eddie from the amazing album cover to Piece Of Mind. This costume is one size fits all so please read the size chart before ordering. 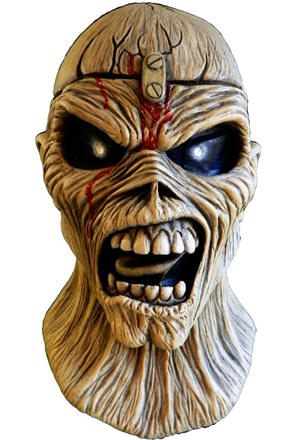 Sculpted by Erich Lubatti, this mask is based on the album cover of IRON MAIDEN's fourth studio release, Piece Of Mind. 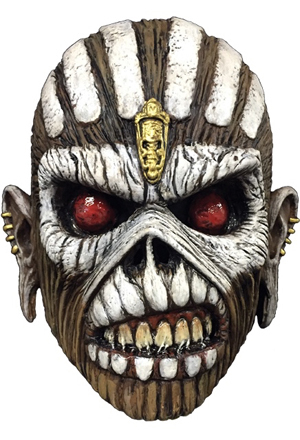 Sculpted by Erich Lubatti, this mask is based on the album cover of IRON MAIDEN's fifth studio release, Powerslave. Every detail of Eddie is captured in this amazing latex mask. 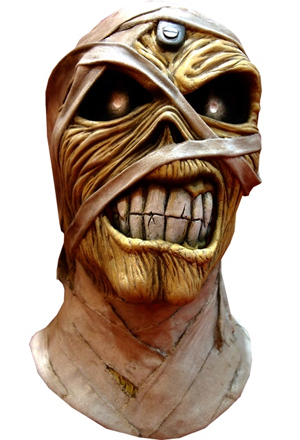 Sculpted by Bruce Spaulding Fuller, this mask is based on the album cover of IRON MAIDEN's 16th studio release, The Book Of Souls. Every detail of the Mayan-themed Eddie is captured in this amazing latex mask. The masks can be ordered now from Trick Or Treat Studios right HERE.